by Stephen Vincent, originally published in "The Poetry Reading: A Contemporary Compendium on Language & Performance," edited by Stephen Vincent & Ellen Zweig, published by Momo's Press in 1981 in San Francisco. In the early 1970s, important shifts began to take place in what was heard. Historically these shifts may have marked the end of a certain renaissance of what was essentially white, middle-class activity. Out of whatever despair, in the spring of 1970 Lew Welch walked off into the Sierra, apparently in an act of suicide. Janis Joplin was dead. And it was hard to want to hear another record by the Jefferson Airplane. It was, however, the beginning of a genuinely multicultural alteration in what had been a primarily City-based, white-male-centered poetry. In the East Bay, taking the lead from Judy Grahn and Alta, a strong body of feminist writers began to emerge. In San Francisco, propelled by the promotional and organizing energies of Roberto Vargas, there began a whole series of readings by Third World writers of Latin, Asian, and black origin. Writers up and down the Coast began to command attention. Bolinas had become a refugee center for a number of New York-identified writers, including Tom Clark, Bill Berkson, and Lewis MacAdams, as well as Joanne Kyger and David Meltzer from the City. Later they would be joined by Robert and Bobbie Creeley. Down the Coast at Santa Cruz, a number of writers, including Mary Korte, Morton Marcus, and George Hitchcock, got active in readings and publications, including George's already well-established Kayak magazine. In the City, in addition to Third World activity, a large number of writers (graduates of State, North Beach surrealists, people who had not been burnt out by the narcotic ravages of the late 1960s) began to make their work public. A new order of writing was gradually established. No close identification was apparent among the poets. The initial diversity made things potentially fiery and exciting. Magazine and book publications were still few. The reading was a way of getting work to the public as a form of oral literature in which audiences began to speak about poems they had heard. (This was yet a few years before National Endowment for the Arts small press grants began flooding stores with everybody's books!) In the fall of 1970 I began teaching at the San Francisco Art Institute. In the library, with its great view of the Bay, Jacob Wiener and I started a reading series. We made a habit of inviting three or four poets every other week from all aspects of the community: Bolinas, the East Bay, graduate students at State, people from the Mission and North Beach. Both of us were amazed at the late Friday afternoon turnouts of fifty to one hundred people. We were definitely involved in a new surge. 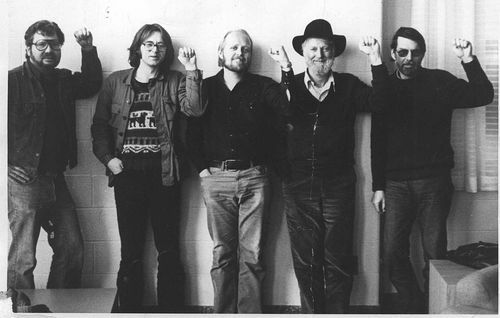 Left to right: Allen DeLoach, Tom Pickard, Ron Silliman, Lawrence Ferlinghetti, and Robert Creeley. The spirit of the readings was initially tentative. Occasionally you could sense a kind of competition to give a sensational reading, to capture a crowd. But poets were still unsure as to whether or not the reading was a viable form. No one wanted to get into an imitation Ginsberg or repeat the evangelical tone of Welch and the other Beats. Prophecy seemed archaic. At the same time, especially among feminists and Third World writers, an anger and urgency, a sense of pronouncement was growing. The question was how to relate to an audience in a compelling way. Most of the poems were centered in the voice, the processes and sounds of speech—whether declarative or conversational—and sometimes the work moved into song. Physical presence and a sense of dialogue with the listener seemed required. That possibility of exchange raised the audience's energy. In addition to attending to style, and the integrity of the sound of the poet's voice, people were coming to deliver and hear content. It was the beginning of the assumption of differences: the world of Bolinas, women, Latinos, Asians, blacks, City, country, and eventually the world of gays. Depending on where you were coming from, the new work could be liberating or threatening or, at least, amusing. It was definitely a new and diverse turf. 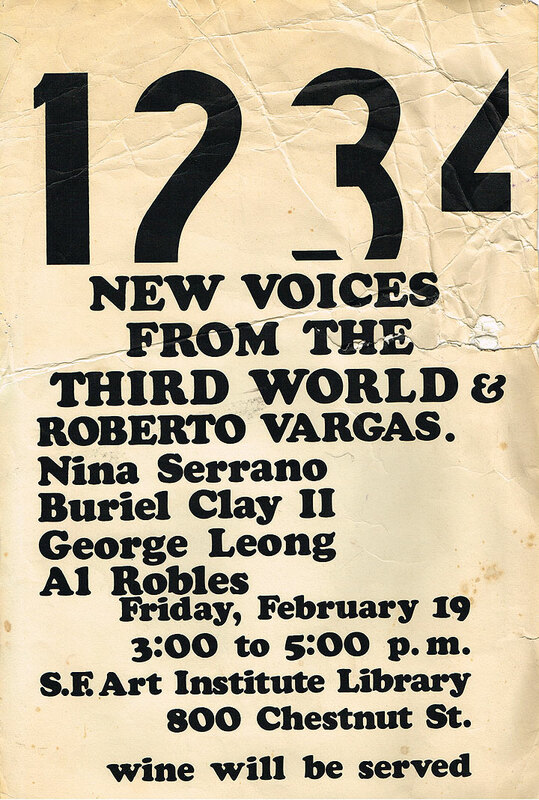 New Voices from the Third World reading at the San Francisco Art Institute, Feb. 19, 1971. It was also the beginning of an enormous eruption of activity. 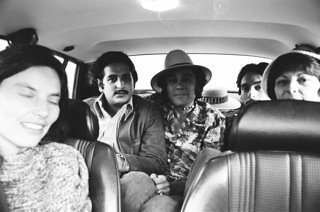 In the fall of 1971, the Berkeley Poets Commune organized a large three-day poetry festival at the University Museum in Berkeley. The festival marked the first real attempt to unite at one occasion both established writers such as Robert Creeley and Joanne Kyger with the divergent groups of emerging, younger writers. Among several readings, Judy Grahn read with Alta and Susan Griffin as a feminist testament. And, equally important, a large Third World presentation included the work of Jessica Tarahata Hagedorn, Thulani Davis, Al Robles, and Janice Mirikitani. It was the first large exposure of new writers who had previously been heard only in small readings. The festival set up some of the main currents that constituted Bay Area writing for the next several years. From 1972 on, readings began to spring up everywhere. In Berkeley a regular Wednesday night series was started at Cody's Books. It still continues. In San Francisco, Tuesday readings were begun at the Intersection, a nondenominational coffeehouse. They were coordinated by Tom Cuson with the eventual assistance of Steve Shutzman and Barbara Gravelle (who began a Monday night series for women's work). A few blocks away, on Grant Avenue, Carol Lee Sanchez took over the Wednesday night open mic to start a popular series at the Coffee Gallery. Another series began at Panjandrum Press on Saturday nights. In addition to the regular on-campus series, the Poetry Center began to stage large readings at the San Francisco Museum of Art. City Lights Bookstore, until Fire Department regulations intervened, held massive readings at Project Artaud, a warehouse artists' community, drawing up to 2,000 people for Allen Ginsberg and Yevgeny Yevtushenko, on one occasion, and Andrei Voznesensky on another. Between 1972 and 1976, rarely was a day of the week free of a reading or poetry event somewhere. The activity made possible the publication of Poetry Flash. Initially the Flash was a two-sided mimeographed flyer with a calendar of Bay Area readings and events. 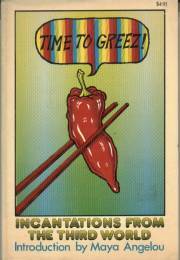 Edited by Jon Ford, it came out monthly and was distributed free in bookshops and coffeehouses. By 1973 an estimated 500 to 1, 500 people were attending readings each week. In addition, Poetry in the Schools, a project of the Poetry Center, funded by the National Endowment for the Arts (and, at the time, under my coordination), was placing poets in the schools all over the Bay Area and Northern California to do regular workshops and readings. It was by far the largest burst of activity since the middle 1960s. An intensity and drive to be heard probably transcended the desire to be published. Fifty to a hundred people at a reading could initially be a much greater pleasure than the slow process of publishing and book sales. But pleasure was not the word to describe the tone. Much of what was being read was connected to a new political stance. The eruptions of 1968 had produced a constant source of personal transformation that found root and support in revolutionary politics. At its best, the language was attacking the very tissue of the country's social organization, whether racial, sexual, ecological, economic, or political. No situation was spared, nor were the ruling elites of poetry. Behind the attack was the spirited assertion of a liberated and changing identity, both individual and cultural. You could hear the new tone when Susan Griffin read "On Being Asked by a Man What He Could Do for Women's Liberation," when Judy Grahn read "Edward The Dyke," when Paul Mariah read "One Mad Queen," when Roberto Vargas read "Elegy Pa Gringolandia," or when Gary Snyder, one of the few engaged survivors of the 1960s, read his "Smokey the Bear Sutra." The language had a satiric, often savage bite. The intent was no less than to restructure radically what constituted acceptable American thought, behavior, and belief. The work was performed with and against the backdrop of intense moves and counter-moves in this country's political history. Not only was the Vietnam war raging, but events revolved around George Jackson, Angela Davis, and the San Quentin Six; the Weathermen; the struggles to bring ethnic relevancy into schools and colleges; the initial gay and feminist protests and demonstrations; Watergate and the Nixon administration; the coup in Chile; the invasion of Cambodia, and on and on. The mixed poetry reading became a place in which all the battles might be engaged. It would be wrong, however, to assume that all that was read went in the direction of the various liberations, or that white men, feminists, gays, and Third World writers were not without serious divisions. White writers (products of writing programs, or those with special affinity to Surrealist, Black Mountain, and New York school writers) often faced Third World criticism that their work was too "interior" or self-serving. The view was that such writing lacked social context, relevance, and political commitment. It was writing as end in itself. 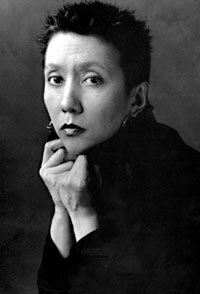 Such writers were told that their work was racist, or, from a feminist point of view, the work was misogynistic, for refusing to acknowledge and respond to the new issues raised by women and Third World writers. Non-Third World writers would sometimes respond that writing done primarily from a racial and political base was limited because it could not engage the whole range of human issues and possible concerns of language. And both white and Third World male writers were damned by the women when they rejected feminist writing as unwomanly. It was a hot circle of writers and writing, to say the least. Nevertheless it was a period of contact, no matter how often blunt and bruised, in which the writing scene was not fragmented, as it currently seems, into several separatist camps of concern. At that time, on most any night of the week in North Beach, at Vesuvio's, Spec's, the Intersection, or Malvina's, it was possible for several kinds of writers to run into each other over drinks. The reading as a place of engagement with issues was played out all over the City and the Bay Area into the mid-1970s. 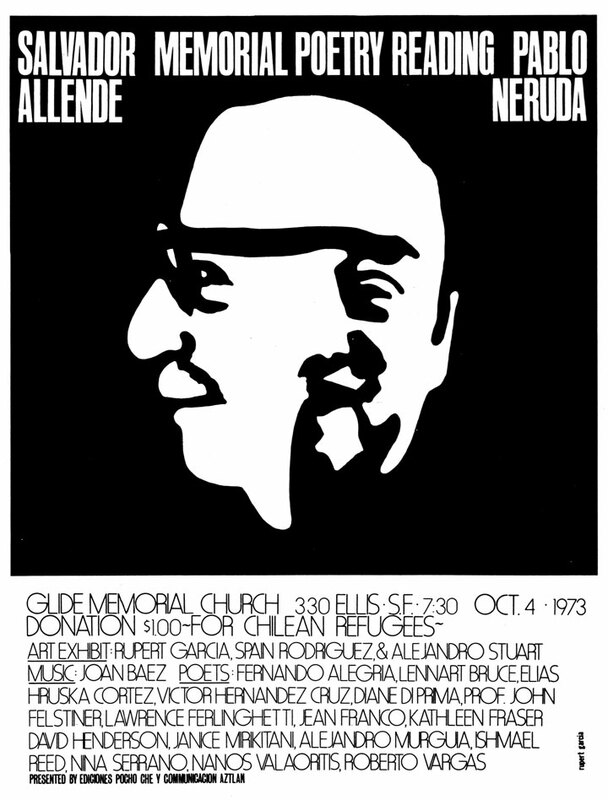 Allende Neruda Memorial Reading at Glide Church, 1973. It was not just limited to the relatively small reading situations at the Intersection, Cody's, The Coffee Gallery, Panjandrum, and Minnie's Can-Do club but would periodically explode into larger scenarios, particularly at the Museum of Art, Glide Church, Fugazi Hall, the Longshoreman's Hall, and Project Artaud. The era of "the big reading" was definitely back, as it had been in the mid-1960s. Anywhere from ten to twenty poets were invited, and the evenings stretched from 7:30 to midnight. Different physical locations had various appeals. The Museum of Art put the work in a relatively apolitical context of art and social importance, no matter who was reading. Fugazi Hall in North Beach created resonances with the Beats. Longshoreman's Hall, near Fisherman's Wharf, held progressive "union" political connotations. And Glide, during those years, of all the settings, was undoubtedly the most provocative place in town-politically, socially, and racially. 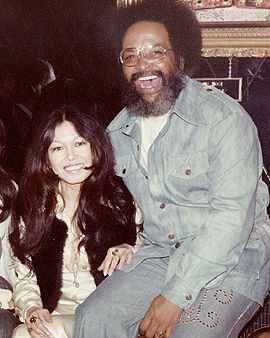 Cecil Williams and Janice Mirikitani in early 1970s at Glide Church. Cecil Williams, one of the progressive Glide pastors, enlivened the church's community-based image. No matter what the event in the secular world—the strike at State, events surrounding the war, the struggles of gays, seniors, blacks, Chicanos, Asians, the demands of the SLA-Cecil was there as intermediary or negotiator, with whatever seemed called for. His services on Sunday, combining music and oratory with an insistence on community involvement and redemption, gave the church a dimension, a large and loaded sense of space in which almost any national or local disease could be put into focus for healing, banishment, or elegy. The huge Glide readings, usually held on Friday or Saturday night, were often a large spectacle. The church holds about 1,500 people when it is full, both bottom floor and steep balcony. When the house lights are dimmed and the stage light focuses on the performer, the darkness about the place can be absolutely haunting. All the issues of the City and the Republic seem to float through the thick air; no matter who reads, their work is measured in the light of whether or not it grapples with the presence of oppression. In the early 1970s the darkness was loaded with guilt, anger, and grief connected with the war and issues of racism. Whether the reading was in commemoration of Allende and Neruda or a benefit for the bombed Bach Mai Hospital, it was as if the whole continent had tipped into one sanctuary to deal with Death. Whether Stan Rice was reading "Some Lamb" on the dying of his daughter, or Ishmael Reed was recounting his satiric Flight to Canada, the dark side of the country was being tapped. Sometimes, especially during the Bach Mai benefit, the readings would spill into recriminations, with some Third World poets cutting into the ethnic obliviousness of some white poets, arousing guilt and anger. The place could get to feeling really crummy and hostile, until another poet would come on and raise the focus into more constructive directions. The reading that remains strongest in my memory was at the Longshoreman's Hall. 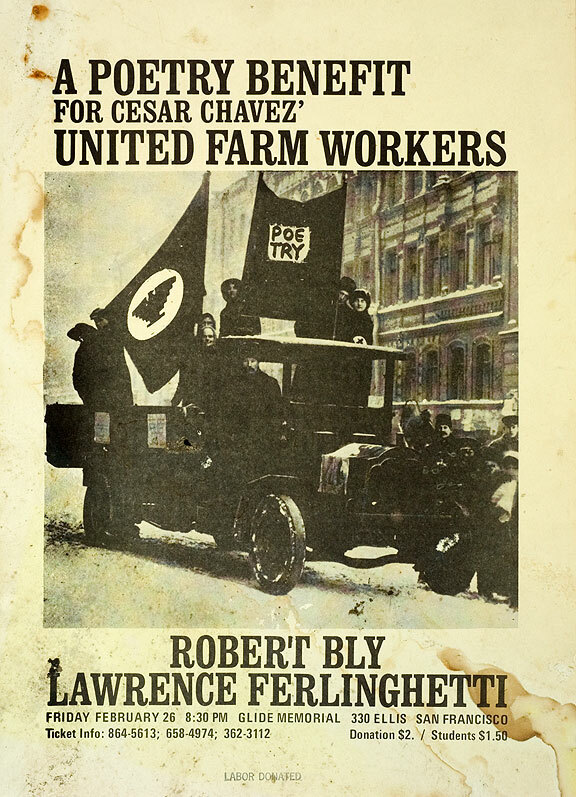 Sponsored by City Lights, it was a benefit for the United Farm Workers. 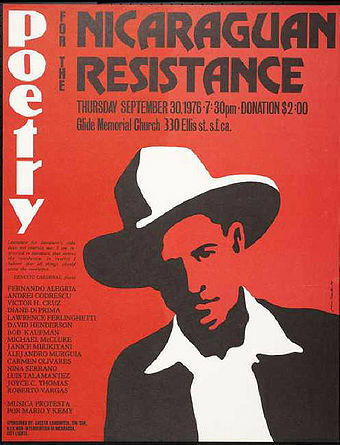 The invited poets included Creeley, Duncan, Ginsberg, Whalen, and Ferlinghetti. Before the reading, Roberto Vargas persuaded Ferlinghetti that, given the nature of the benefit, it was strange that no Third World poets were reading. Consequently, Thulani Davis, Jessica Hagedorn, Janice Mirikitani, Serafin Syquia, and Roberto himself were added to the list. The turnout was huge; an audience of 2,000 filled the place. Perhaps because the reading was in support of progressive change and did not possess the elegaic spirit of the usual Glide reading, the whole evening had an up tone to it (with the exception of one crass, mad-mouthed drunk). Poster image courtesy Oakland Museum of California, All of Us or None of Us collection. What turned the reading, however, was the acceptance of the 1950s by the 1970s. The poets from the 1950s had always made clear the influence on their work of jazz, blues, and various La Raza and Asian sources. In the 1960s, however, there was already much criticism, mainly by Third World critics, of Beat indulgence in stereotypical and romantic depictions of Blacks, Asians, and Latinos. The potential tension between the "taker" and the "takee" transformed the occasion into a powerful and various experience of language with a multiple sense of origin, rather than a nostalgic "old boys" benefit. Serafin Syquia's poem about diplomatic ping-pong, the precise sound of the ball hitting the paddle before crossing back over the net, back and forth across the hyphens of America's diverse migratory nations, caught the edge of the evening, the audience riding the various lifts of the ball as it went from one poet to another. People left that place lifted, as if a truth and balance had been struck. Up until 1976 there was a solid burst of work, both in readings and in publishing. Initially the publishing was secondary to the potential excitement of reading. Books and magazines, if they did at all, followed in the wake of the poet's voice. The emphasis was on performance. The intimate, collective process of getting together as an audience was encouraged by the urgency and the sense of hysteria of the times. It was social and more attractive to get together than to sit at home reading a person's book. That could come later, after the event. Then the poet's voice could resonate and possibly become more complex within the context of the printed page. In the early 1970s, it was quite possible the poet might not have a book. Even if she or he did, the poems in a reading might be totally new or different from those in the book: things were moving that fast, or at least more quickly than most small press publishers. Given the emphasis on and public success of readings, some poets naturally began to expand the format and shape of their work in order to involve actors, musicians, dancers, and their own instruments. Apart from the challenge of new forms, it was clearly a way to expand an audience that could grow tired of the poet-in-the-pulpit format. Those who were active in the changeover were Susan Griffin, whose play Voices, a poetic drama for six voices, was performed in several Bay Area locations, including a KQED-TV production. 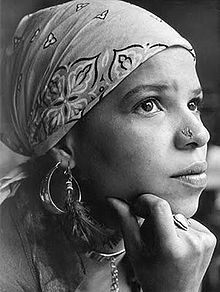 Ntozake Shange started working with Pamela Moss, the dancer, and from that work came the poems for her play, For Colored Girls Who Have Considered Suicide When the Rainbow Is Enuf. They performed the work in progress several times at places like the Intersection, Minnie's Can-Do, and the Bacchanal, totally unreviewed, but before enthusiastic audiences before taking it back to a huge success in New York. Jessica Hagedorn established The West Coast Gangster Choir, a several-piece band with two singers, for the performance of her work. Julian Priester, the composer and jazz trombonist, wrote the musical arrangements; parts of the poems would be broken into refrains for the singers, while Jessica performed the poems from memory, sometimes going into song herself. When Jessica and Ntozake performed their work together, with the dancers and the music, they could stir a crowd to an obsessive frenzy, the language hit such a chord in the time. The Palace Monkeys, a group of poets that included Michael Koch, Renny Pritikin, and Anthony Vaughn, worked with their own instruments and other musicians to raise their poems into song or amplified narratives, with some following and success. The attention to poetry as performance was such that Lewis MacAdams, director of the Poetry Center, asked prospective poets for tapes of their work to hear how they might sound at a reading. Though public readings were primary, they were ultimately a way of mediating back (or forward!) to the publication of books and magazines. With the exception of a few intensely oral poets, such as Max Schwartz, I have rarely met a poet who is not interested in releasing a book. At this point in history, the book was the way of confirming, or making concrete, what was experienced in the public reading. (It was also a way of taking the poems to audiences geographically distant from the Bay Area.) In any case a variety of new publishers began to flourish. Each one was generally reflective of the different pieces of the literary scene. 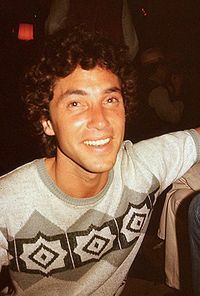 As the 1970s progressed, the Third World presence was increased by the activity of Victor Hernandez Cruz and David Henderson and suffered the tragic loss of Serafin Syquia in 1973. Third World Communications published Third World Women's Anthology in 1973 and, in association with Glide Publications, produced Time to Greez!, a comprehensive anthology of local work in 1976. In addition, during the same period, Ediciones Pocho Che published double back volumes: Primeros Cantos by Roberto Vargas with This Side and Other Things by Elias Hruska y Cortes, and Oracion A La Mano Poderosa by Alejandro Murguia with El Sol y Los De Abajo by Jose Montoya. Nationally, Random House published Mainland by Victor Cruz. And Momo's Press published Dangerous Music by Jessica Hagedorn. Yard Bird Reader and Heirs magazines variously also published the new work. The number of women writers influenced by feminism increased dramatically. In addition to Aha, Grahn, and Griffin, new work by Beverly Dahlen, Pat Parker, Jana Harris, Stephanie Mines, and Julia Vose, to name just a few, began to be heard. 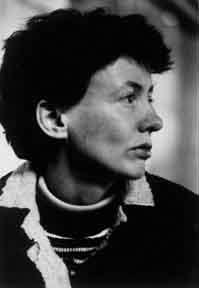 Significantly, Shameless Hussy Press published Alta's No Visible Means of Support; Mama's Press issued Let Them Be Said by Susan Griffin; Women's Press Collective published Edward The Dyke and Other Poems by Judy Grahn and Child of Myself by Pat Parker. And Momo's Press produced Out of the Third by Beverly Dahlen. The early 1970s also marked the rebirth of North Beach as a center for writers (a position lost for several years to the Haight), with the arrival of Beat-generation characters from all over the world. Harold Norse, after long exile in Europe, Jack Micheline from New York, and Jack Hirshman from Los Angeles, all in their late forties, formed an uneasy neighborhood triumvirate near which writers attracted to the 1950s Beat mythology began to congregate. 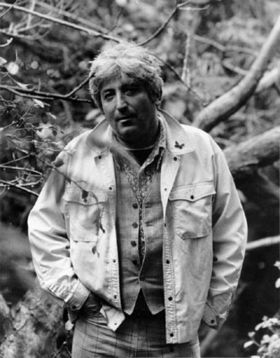 In the spring of 1975, Bob Kaufman was brought out of a ten-year silence to give a reading at a packed Malvina's coffeehouse on Union Street. Though his voice was cracked with age, he read poems from his City Lights Pocket Book editions with the hypnotic, jagged, hip insistence with which he had undoubtedly read them in the 1950s. A scary experience. It was as though nothing had changed! The event hatched the revival of Beatitude magazine that again became a neighborhood organ. In addition to Beatitude, Second Coming press and magazine also published North Beach work with a special focus on Jack Micheline and its editor, A. D. Winans. City Lights published Hotel Universe by Harold Norse and Lyripol by Jack Hirshman. Public readings went hand in hand with these new publications, as well as the initiation of the annual San Francisco Poetry Festival. Assertively open gay work could be found in Gay Sunshine, the new tabloid. It featured important interviews with Ginsberg, John Wieners, and Norse, and included large amounts of poetry with other kinds of reportage. 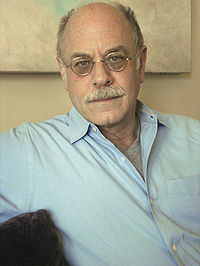 Though not limited to San Francisco, it was the first local publication to provide a focus on gay writing with attention to poetry by Paul Mariah, Robert Gluck, and Aaron Shurin, among others. Manroot press and magazine, edited by Mariah, though diverse in editorial policy, also gave access to much gay writing. As an editor and publisher of both Shocks and Momo's Press, I saw myself as a mender. Shocks were the reverberations I felt emanating from just about every writing quarter. The magazine and the press were a way of establishing a larger writing out of intense and conflicting fragments. The sum would be greater than the parts. It was time to break away from the focus on one writer over another, or the myth of the writer as isolated and independent hero. The intention became to establish contexts in which writers could occur in simultaneous situations. This intention was the impetus behind The Day Book issue of Shocks No.5 in which six writers of various backgrounds (Andrei Codrescu, Beverly Dahlen, Susan Griffin, Jessica Hagedorn, Roberto Vargas, and myself) each took ten differently placed days over a sixty-day period in February and March of 1974. Each of us had a page per day in which we could write a poem, dream, idea, documentary, or story. The idea was to create a collective journal in which the various writings would vibrate off one another to create a larger dimension. This interfacing of borders and crossings of various writings and writers has remained the most serious intention of the press. The work of all these various new presses and writers did not eliminate the work of writers established in the 1950s and 1960s. Several new and some of the older surviving presses committed themselves to sustaining the growth of these writers, as well as their responses to on-going events in the body politic. 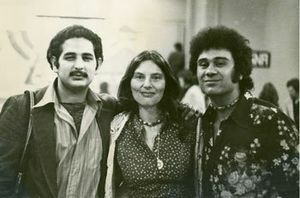 Sand Dollar, Tree magazine and press, Mudra, the Four Seasons Foundation, Grey Fox, and Cranium Press published various works by McClure, Snyder, Welch, Ed Dom (who, in 1973, took up residence in the City for several years), Diane di Prima, and Robert Creeley. Most importantly, in terms of established poets, Turtle Island published Dom's Gran Appacheria (1974), to be eventually followed by Wingbow's presentation of the complete Gunslinger (1977). Up the coast in Bolinas, Big Sky magazine and press would take care of much of the New York and local traffic with books by Jim Thorpe, Joanne Kyger, Bill Berkson, and Lewis MacAdams, among several others. The early 1970s also marked the rebirth of letterpress printing. Influenced strongly by the example and teaching of Clifford Burke at Cranium Press, a number of new printers began to emerge under different logos: Holbrook Teter and Michael Myers' Zephyrus Image, Betsy Davids' and Jim Petrillo's Rebis Press, Wesley Tanner's Arif, Bonnie Carpenter's Effie's Books, and Five Trees original group: Jaime Robles, Cameron Folsom, Eileen Callahan, Cheryl Miller, and Kathy Walkup. Most of these presses were committed to preserving and expanding the traditions of lively and solid poetry printing initiated by David Hazelwood and Graham Mackintosh. True to that tradition, many of the printers, especially Burke, Teter, and Tanner, assisted in designing and printing books by McClure, Welch, Snyder, Creeley, and Dorn, as well as work of some of the younger writers, including Keith Abbott, Jessica Hagedorn, and Beverly Dahlen. Effie's Press, committed to feminist work, also partook of that tradition in making letterpress books by Susan Griffin, Adrienne Rich, and Mary Mackey, among others. In general, however, the letterpress process, for books, was too expensive and often too slow. Most publishers had to work with well-known writers to justify the financial investment. And, in terms of the politics of the time, many presses and young writers thought letterpress work was precious and primarily elitist. This debate was hot among many of the printers, who argued that their knowledge of printing and design gave strength and long-term reading power to a work. That photographic methods of typesetting and printing diminished the power was the corollary argument. Some printers worked both sides of the fence. Avoiding the precious, but still making the work elegant and popularly available, Michael Myers and Holbrook Teter, for example, often used their shop to stick to the tradition of the 1960s free poem. They made broadsides in combination of language and image that were usually an incisively ambiguous comment on national political events. The work was given away to strangers and friends, most often in The Pub, the neighborhood bar on the comer of Masonic and Geary. (As is done in Japan, their Zephyrus Image series on the Watergate Hearings should be preserved as a national treasure.) In a very real way the argument between letterpress and offset aesthetics always goes back to the tension between whether a poem is to be a sacred enshrined act or a popular and accessible document. That tension is always present in San Francisco in the circumstance of both readings and books.